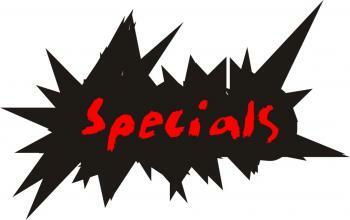 We provide you with a quick and easy way to put some of your products and services on special. See our Special for example on website design. People love a Special! This feature also has a cool functionality where you can have one of those "animations" that people bluetooth to you when you are walking in a shopping centre except that you can deliver (render) this Special via SMS, which gives you a much wider reach.